Dewayne Johnson with attorneys. Photo source. This past Friday (August 10, 2018) a jury in California awarded Dewayne Johnson, a former school groundskeeper who is dying of cancer that he claims is the result of years of using the herbicide RoundUp which contains glyphosate, $39 million in damages, and another $250 million was levied against Monsanto for covering up the scientific evidence that glyphosate causes cancer. This is the first legal blow against Monsanto for its herbicide product, which is the world’s most common herbicide, spread on crops all over the world. In recent years, laboratory testing on urine and mother’s breast milk shows that almost the entire world’s population contains glyphosate in their bodies. Much of the pre-trial legal maneuvering was centered around what evidence was going to be allowed in the trial. 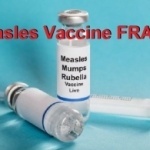 In the end, in spite of what appeared to be at some points a biased judge, enough evidence was presented to the jury to conclude Monsanto was guilty. Learn more about the dangers of glyphosate. 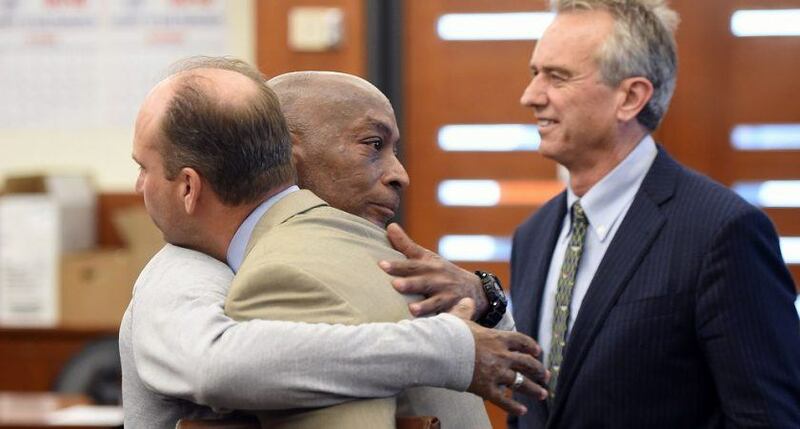 While Monsanto is obviously going to appeal this decision, this case opens the door for thousands of other lawsuits against Monsanto to proceed. And what about the EPA? Will they continue to maintain the view that glyphosate is not a public hazard and allow its continuous use in agriculture and home lawns? In 2014, Health Impact News published an article about glyphosate which included an interview with Dr. Don Huber. Dr. Huber explained how North American grains, which themselves are not genetically modified, had become so contaminated with glyphosate. The other reason involves late season snow. In the northern region such as in the Dakotas, in certain parts of Montana, and in the Prairies of Canada, there is a very short growing season. If it snows on the crop at harvest then you may lose the crop, because you can’t get back into the field to do the harvest. In these regions, 70% of the wheat and barley are desiccated with glyphosate before harvest. [This kills the plant so that it will wilt and dry]. Farmers don’t want to take a risk of losing their entire wheat and barley crop, so they will take a cut in yield and quality by using glyphosate a few weeks before harvest, and then harvest the crop early. Farmers don’t realize how much they are contaminating that food or feed product when they do this. They will accept the cut [in quality and quantity of the crop], because that can buy them a week advantage in harvest. It’s really more done for ease and planning. However, it is just the dumbest thing you could ever do from a health and safety standpoint. In fact, beer brewers are having a problem with glyphosate. A few years ago, when one of my colleagues wanted to get more Abraxis test strips for testing materials for glyphosate residue, he was told that they had a 3 month backlog. He asked, what was causing this? He was told that every load of malt barley coming out of North Dakota has to be tested, because the glyphosate levels were so high that it kills the yeast in the brew mix. As the founder of Healthy Traditions, a U.S. company selling high-end sustainably produced foods that exceed even USDA Organic standards, I decided to test Dr. Huber’s claims. Glyphosate is more than likely a contributing factor to more than just cancer, according to this study. Millions of people who believe they have an allergic reaction to gluten may in fact be reacting to the contamination of gluten crops, such as wheat. 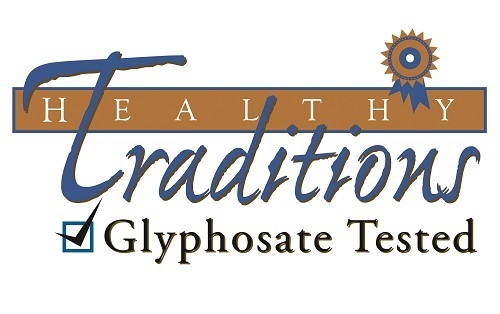 As a result, Healthy Traditions started testing all of its products in 2014 for the presence of glyphosate. If a test result comes back positive, we do not sell it.